Once i send her my email address, she will email me with a virus program or a link containing virus. at this moment i will think that this is something of my interest and i would click that link or install that program. Since i installed the program, My computer will now act as a Zombie and in turn i will mail a copy of this email to all my Contacts automatically. 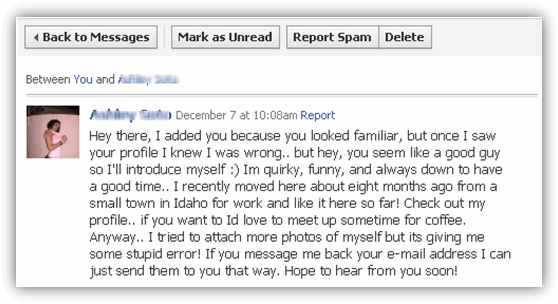 In Short the girl just used me to spread E-mail spam. zombie is a type of computer virus that infects your PC and causes it to send out spam emails, for a spammer. The spammer controls and uses your pc without you knowing it. Spammers may be using your computer to send unsolicited — and possibly offensive — email offers for products and services. Spammers are using home computers to send bulk emails by the millions. 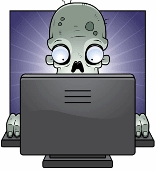 The Zombie is planted on hundreds of computers belonging to unsuspecting third parties and then used to spread E-mail spam and because of this it becomes very difficult to Trace the zombie’s creator. Zombies can also be used to launch mass attack on any company or website. –How do I prevent my computer becoming a zombie? Control What you Share: Spammers collect e-mail addresses from chatrooms, websites, and nowadays especially Social Networking websites. 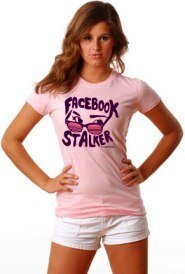 So you got to be very careful about what you share, whom you add as friend, and what you explore on Facebook. Never Scrap your Phone number or home address on facebook, this gives rise yet another big thing “Identity theft”. Never open unknown emails: Be cautious about opening any attachment or downloading any files from emails you receive. Don’t open an email attachment — even if it looks like it’s from a friend unless you are expecting it or know what it contains. If you send an email with an attached file, include a text message explaining what it is. Use a Good Antivirus software: and keep it up to date. Look for anti-virus software that recognizes current viruses, as well as older ones. I always Recommend use AVG Free edition – The best (***** from hacker9) And If you have some money to throw use the Premium version. Also read: How To Get or Register the New Facebook Email Account?